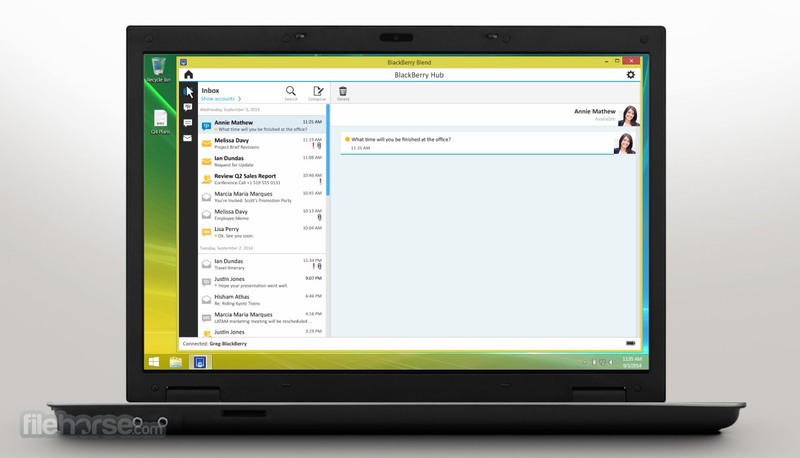 BlackBerry Blend is software you can download for your computer and tablet that seamlessly brings messaging and content that’s on your BlackBerry smartphone to your computer and tablet. 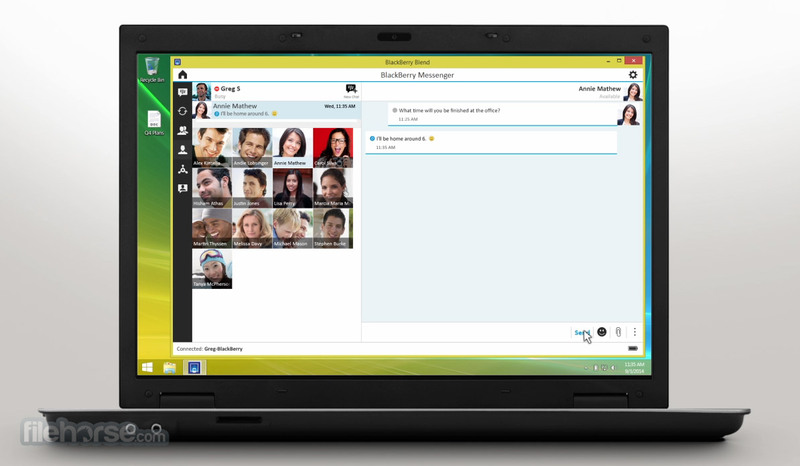 BlackBerry Blend brings all your BBM™ and text messages from your BlackBerry to the integrated messaging hub on your computer and tablet. Get instant notifications of new messages, and read, respond and create messages on any device to be more productive. Forgot your BlackBerry smartphone at home? 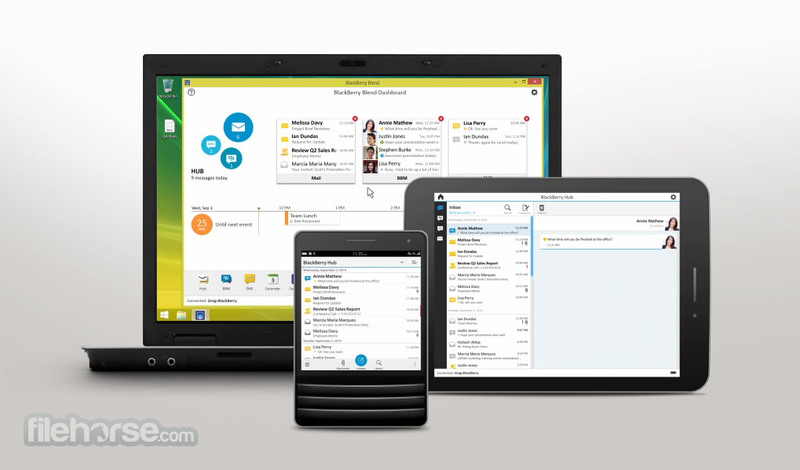 You can still get your BBM™ messages, emails and text messages from your BlackBerry on your computer or tablet through BlackBerry Blend, even when you don’t have your phone with you. Because the power of BlackBerry is extended to your computer and tablet through BlackBerry Blend, you have secure access to your work email, calendar and important files on any device without VPN.1 So much easier, so much faster. Forget having to email files to yourself or using a USB stick to transfer important documents. Save files from your computer or tablet to BlackBerry Blend so they are accessible on any device connected to BlackBerry Blend – even when you don’t have your phone with you. Now you can have the same files on your BlackBerry smartphone, your computer and your tablet when connected to BlackBerry Blend. BlackBerry Blend can connect wirelessly via Wi-Fi® or cellular connection, or wired through the USB port on your computer. Once connected, use your BlackBerry® ID on your computer and tablet to connect to BlackBerry Blend and you are set to go. Do you fly often? Now you can craft emails while inflight in BlackBerry Blend. As soon as your BlackBerry smartphone picks up a cellular data connection upon landing, those messages will be automatically sent. Never worry about being double booked again with BlackBerry Blend. 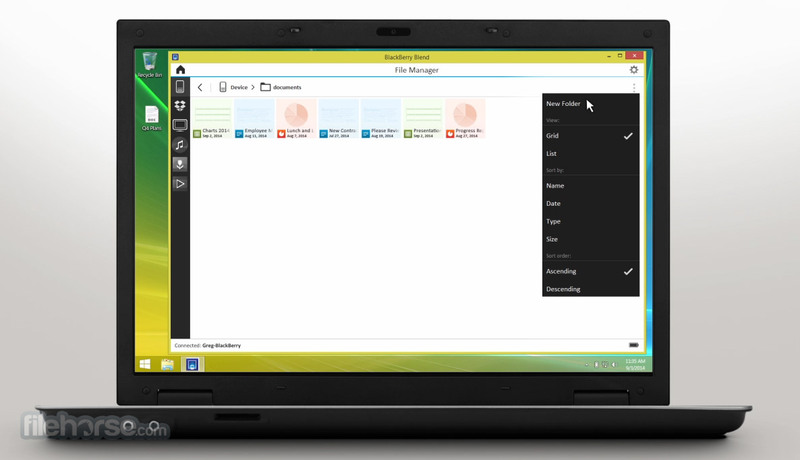 It merges all of your work meetings, personal appointments and events into one single calendar. 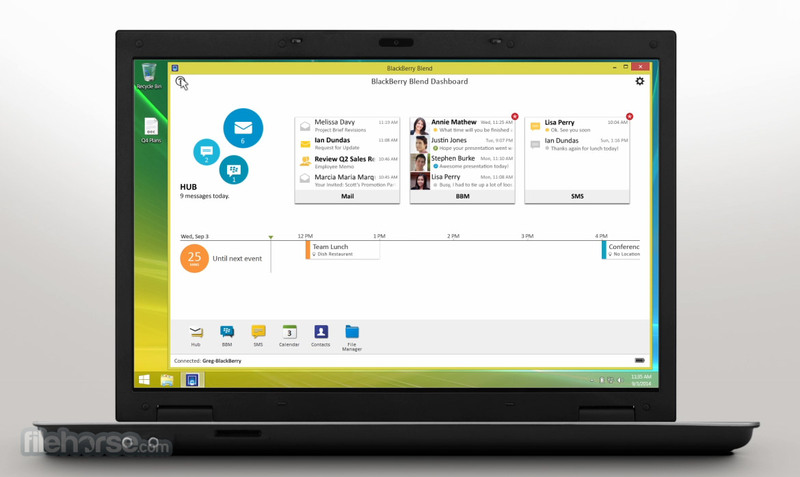 If your BlackBerry smartphone is connected to a BlackBerry® Enterprise Server, you can access your company’s intranet through a work browser on your computer without having to be logged in to your company’s network. This gives you access to important work information when you need it, anytime, anywhere.